When we were children, what was scarier than the notion of a monster under our beds? We would look in the closet, check every corner of the room, turn the nighlight on… all to ward off the evil beings our overactive minds would dare think of. The idea of a boogeyman tormenting a child is nothing new in film either, and first-time director Jennifer Kent knows this. Basing the idea on her earlier short film Monster (2005), Kent devotes the first half hour of The Babadook to the relationship between single mother Amelia (Essie Davis) and her six-year-old son Samuel (Noah Wiseman). Samuel has behavioral issues, and his tantrums are slowly driving Amelia over the edge. Soon he starts thinking that a supernatural character from a children’s book on his shelf– The Babadook – is actually real. And then Amelia, tired and frazzled from years of stress, starts to see The Babadook too. Or… do they? Kent gives character to her demon with simple effects, such as stop-motion animation, carefully placed props, and in-camera tricks. In this era of ubiquitous CG, her low-key approach to horror is welcome, though not particularly scary. However, it’s clear she has studied the masters: There are nods everywhere, from David Lynch’s surrealism to John Carpenter’s minimalism to Roman Polanski’s anxiousness. 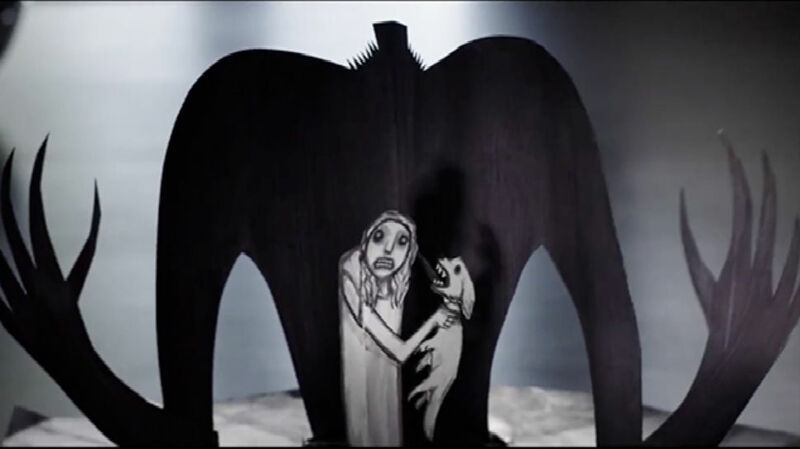 As such, The Babadook has several moments of unease that stay with you, specially the scenes where young Samuel is in danger of being hurt by his possessed mother. To the extent that Kent channels previous films such as The Exorcist (1973), Burnt Offerings (1976), and Poltergeist (1983), The Babadook is derivative fun. But perhaps Kent should’ve concentrated more on reigning in the acting (both Davis and Wiseman often go overboard) and tightening the plot – why does the monster appear in the house and car, but never anywhere else? How and why does the book appear in the first place? In fact – seeing where Kent’s script ultimately takes us – it hardly seems necessary to have the book in the film at all. You see, in the final moments, you realize that the beast in The Babadook is grief itself: Amelia’s husband Oskar died on the way to the hospital six years ago as she was about to give birth to Samuel. For years, both mother and son have bottled up all the anger, sadness, and resentment from this experience and now it has finally come to the surface… personified and incarnate in The Babadook. Amelia and Samuel must fight this monster – their heartbreak – if they are to move on with their lives. And they do, locking the monster (literally) in the basement. You can’t vanquish sorrow, but you can live with it… and that’s an intriguing idea. If only The Babadook had a better skeleton to hang it upon.